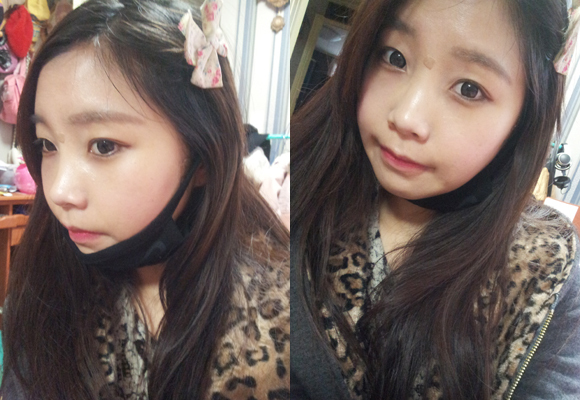 [Real Diary] My Wonderful Two Jaw Surgery Experiences - 짱이뻐! 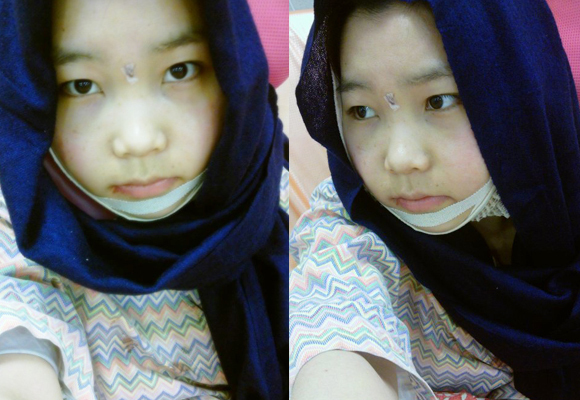 It’s the day before the two jaw surgery at the best two jaw surgery clinic~! For a surgery I have waiting for about 3 months, today is a very happy day. I kept waiting and waiting and finally today is the day. I still can’t believe..wow I’m really getting two jaw surgery.. I feel much better than yesterday.. As you can see I can write my diary now. The hardest things on the first day were difficulty breathing and opening my mouth. I felt swelling in my face, but the difficulty breathing was the most uncomfortable. Things were pretty tough but..my family, friends, coworkers, and my boyfriend visited me and sent me cheerful text messages to give me strength ^^! It seems my surgery was a bigger deal than I imagined. As I came out of the surgery room, the people who came to see me all let out a deep sigh. They were speechless upon seeing my appearance. I was so thankful for their kind words. Yeah, I am going to endure this week with the belief that my swelling will gradually reduce, and my face will get smaller. 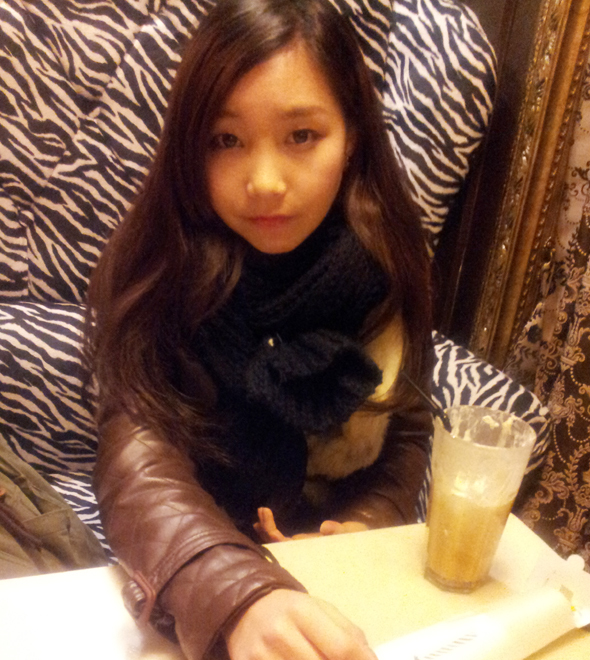 I will soon return to my warm, sweet home… Fighting !!! Hello!! Today is the 7th day after my surgery. 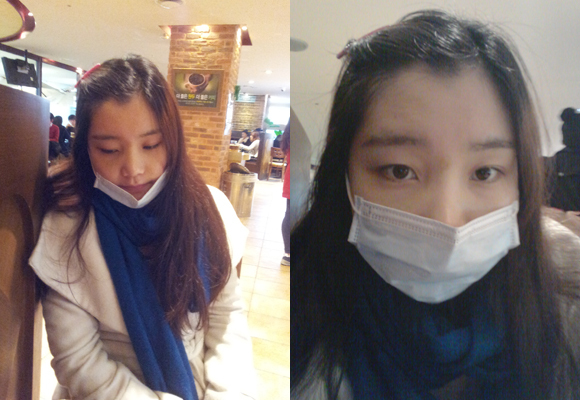 I didn’t want to show anyone my swollen face, but walking around in winter fashion got everyone’s attention as well. To be honest, this week was quite tough because I couldn’t move my jaws how I wanted to. I feel like I’m back to being a baby!!! I am getting ready to sleep but I’m getting hungry again, I had some chocolate milk and my mom made me soup with no pieces in it! So~ delicious! I may not be able to eat ricemeat, but I felt full and went to sleep. I lost 4 kilograms in one week. I have become determined to lose more weight! My gums hurt after surgery because of the incision inside my mouth.. 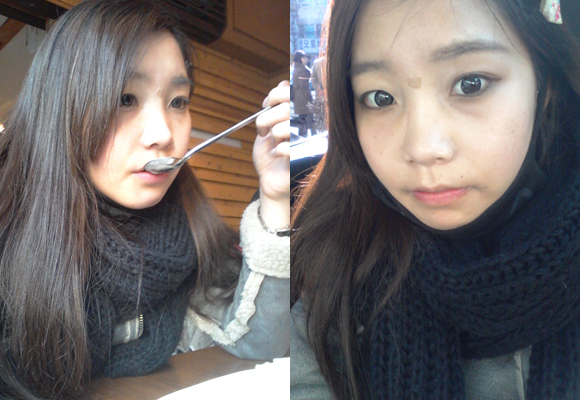 I felt the most discomfort while eating, even more than not being able to eat certain foods.. The saying there’s nothing in life that’s free I believe it every day. If I want to get prettier, I have to overcome these things! I want to lose 10 more kilos… but I keep eating!! Much of the discomfort has subsided. Since it’s only been a week I am sure I will improve!! At first my friends asked me if it hurt or not. Now they are asking how my appearance has changed. Around 10 days after surgery, I started applying light makeup. 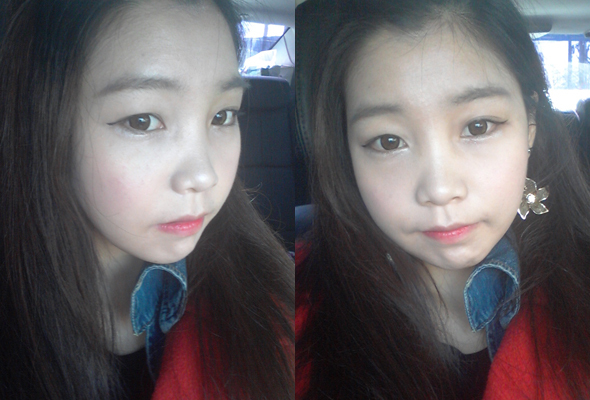 The makeup appears a little uneven, but I don’t mind. The nurses tell me my recovery is going faster than average. On my second treatment visit, I could open my mouth well and my healing was going at a good pace. I felt like my surgery had gone really well. After treatment was finished I learned mouth opening exercises. They were called “Ah~~~Oh~~~Smile~~~” in which I would practice opening my mouth and pronouncing the sounds 3 times a day. 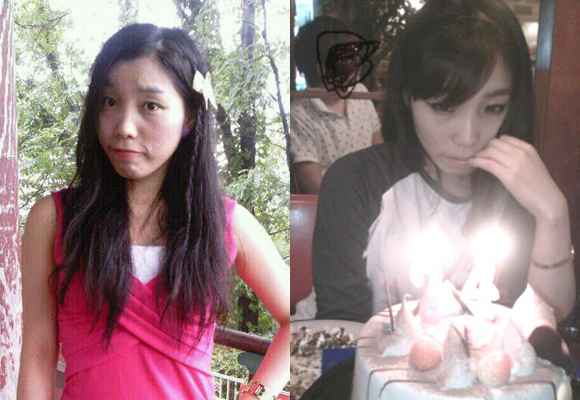 At first...I didn’t mind the soup because I was losing weight, but now it’s becoming tougher and tougher. I took a self-portrait and saw my face and swelling has definitely reduced. I can start to see the outline of my face as well. I kept reminding myself I went through a major surgery, and that healing would not be a simple process. Afterwards, I would be able to live a wonderful life, do things I always wanted, be prettier and be a great success ~ ! It’s already been one month since my two jaw surgery. I got my wafer removed and I have an easier time eating now. Maybe because it’s been awhile but eating rice was so delicious! I had rice with some seaweed and it was so satisfying, almost like eating a steak haha..
After just 3 weeks, I was able to start chewing and going out. Thanks to my friend’s birthday I saw my friends, have some tea as well as eat some cake. 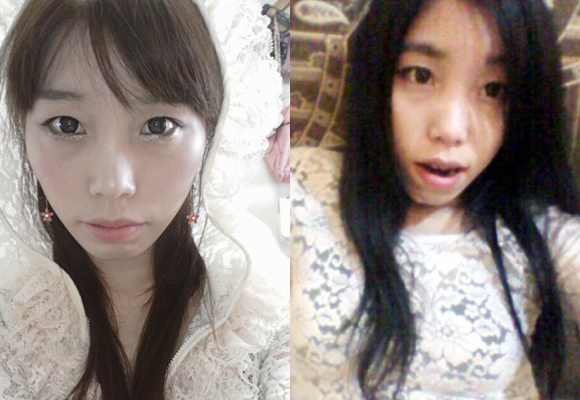 My friends were surprised at my changed appearance~ and everyone was so jealous. I know my swelling has decreased compared to 2 weeks ago but I wonder why every time I take pictures I look the same -_-;;. However, I will stick to my diet and try not to gain weight! I also met up with my boyfriend who constantly worried and took care of me. Thank you everyone! However, it’s too early to celebrate. 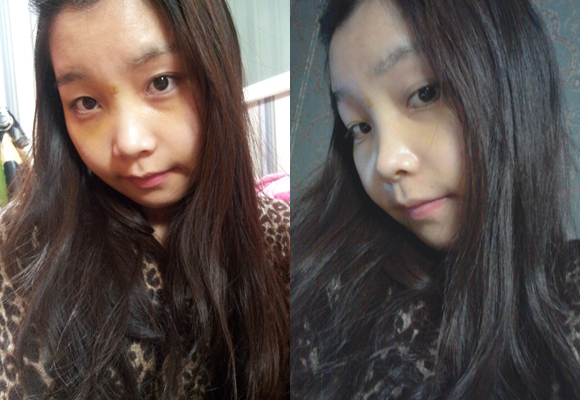 I am eagerly waiting for my changed appearance at 3 months after surgery. As my facial outline has become more defined my face has gotten smaller and prettier. I was never able to get a magic straight perm because of my cheekbones (because it made my face appear bigger), but now I can try all sorts of different hairstyles.